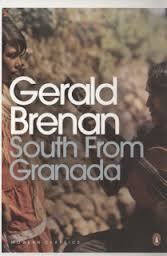 South from Granada was written by Gerald Brenan, an Anglo-Irish writer on the fringes of the Bloomsbury set. After fighting in the First World War he looked for somewhere he could live cheaply on his army pension and found Yegen, a tiny remote village in the Alpujarras. The book is about his experience of living there for five years from 1919 and is now considered an important record an of era of social history that no longer exists. Each chapter offers a very different insight into his experience – it’s not an easy read but it’s a rewarding one. Some descriptions go on a bit but, as Brenan says himself in the book, if detailed descriptions of the geography aren’t your thing, just skip forward. Pushing the lame family donkey over a cliff for it to suffer a slow death by starvation – as the family couldn’t possibly kill such a loved animal themselves. A visiting English friend who, while walking, was captured by gypsies thinking he was a mantequero – a ferocious monster that lives in wild uninhabited places and feeds on human fat. He was promptly taken to the nearest police station to formally have his throat cut (the the only reference on Google for mantequero seems to be ‘pertaining to butter’). The notion that ‘the Spaniard speaks Spanish, the Englishman, English and the Frenchman, French in the same way that each bird has its own call-note or song’ which precluded some locals from believing he could speak anything but English, despite his speaking to them in fluent Spanish. Next to read by Gerald Brenan is The Spanish Labyrinth: An Account of the Social and Political Background of the Spanish Civil War. In 1984, a few years before his death aged 92, Brenan donated all his works to the Gerald Brenan Foundation, in Alhaurin. Here’s a very interesting and detailed post about Gerald Brenan. Spanish Labyrinth is hard going – I am wading through it at the moment! We’ve still not read it but will be prepared for the slog!